Luxurious tranquillity in the heart of the magical Timbavati. Made up of 6 Luxury Suites, 1 Family Suite and 2 lavish Honeymoon Suites, Kings Camp Lodge offers the perfect Kruger Park safari escape. 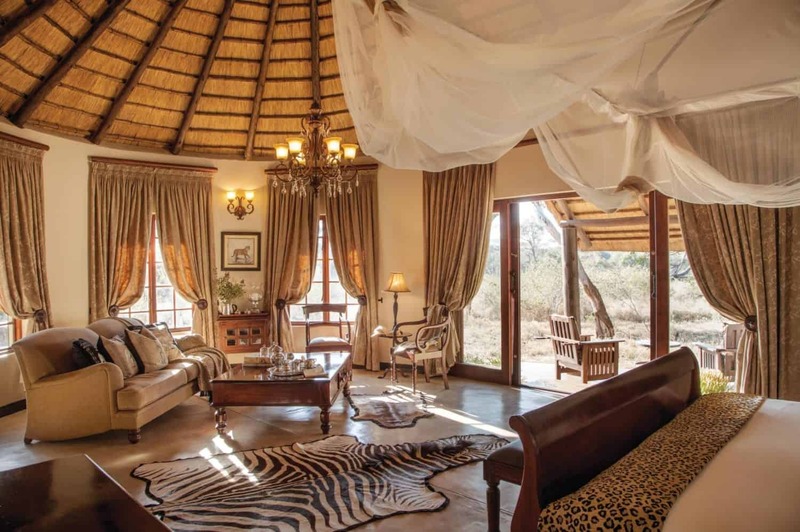 The lodge is positioned on the edge of a savanna plain and the grounds are dappled with the shade of Acacia trees. A vast array of wildlife frequent the watering hole and the camp grounds both day and night, allowing for spectacular game viewing from the doorstep of this Timbavati lodge. 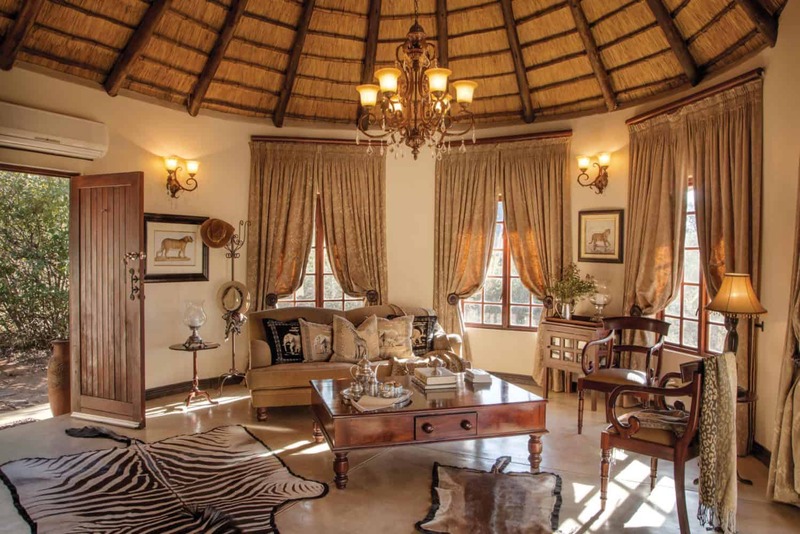 With exquisite interiors inspired by an era of exploration, the 3 generous Luxury Suites are the pinnacle of Timbavati accommodation. The spacious, open-plan design of the 2 air-conditioned Honeymoon Suites offers an intimate and romantic bush escape. With sophisticated decor and world-class facilities, the 3 spacious Superior Suites are a step-up in terms of luxury and elegance. One Superior Suite is an interleading Family Suite. Subtly blended into the natural environment, this private camp reflects the charm and romance of a truly African safari experience, and is a standout among Kruger Park accommodation. 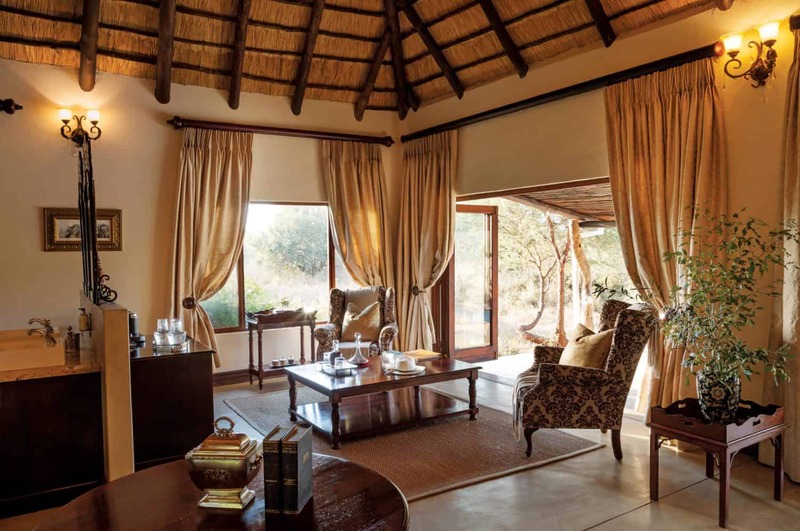 The high, thatched ceilings of the spacious Luxury Suites keep the rooms cool, while the dark wood and neutral colour palette offset the natural colours of the bush. These elegant suites offer ample room to relax and unwind, whether it be on the private verandah or stretched out in the large lounge. Ideal for small families or groups travelling together, the Family Suite is made up of two adjacent Luxury Suites joined by an interleading door. These unique suites enjoy all the facilities and amenities of the freestanding suites, with the additional shared space and peace of mind of having family close at hand. The 2 Kings Camp Honeymoon Suites are the perfect place to start a life with the one you love. Exquisitely decorated, and featuring a romantic open plan layout, these palatial suites boast expansive views of the Timbavati bush, as well as their own private plunge pools. Spend warm afternoons on the thatched viewing deck overlooking the active waterhole or in the cool interior of the open plan lounge and bar with a refreshing drink in hand. Browse an array of novels, autobiographies and guide books in the library, take a dip in the swimming pool for a cool respite from the midday heat or unwind in a morning of pampering at the Kings Camp spa. Alternatively, stay in shape at the well-equipped gym. The diverse range of luxurious facilities at Kings Camp ensures there’s something for every mood and whim. The lodge is beautiful and luxurious with every thoughtful detail. The staff is wonderful and caring. Our guide for the safari, Grant was amazing in his knowledge and enthusiasm for our seeing everything and up close and a true lover of the animals. He went out of his way to show us all. We ended up feeling that we were with special friends. The food was wonderful and inventive, considerate of our dietary needs even the massage treatment was special. This is the most amazing place ever. We felt it was a dream. Our spacious dining room, positioned on the doorstep of the expansive bushveld, is a stunning setting from which to enjoy decadent, mouth-watering meals throughout the day. Dinner at this Timbavati lodge can be enjoyed under the stars in the heart of the bush, in our traditional boma, in the garden under a large knobthorn tree, alongside the swimming pool, or on the terrace overlooking the spot-lit waterhole.